Trippy and emotionally poignant, Superman #19 uncovers even more of Rebirth's secrets as we edge closer to the end of the phenomenal "Superman Reborn" arc. Whoa! 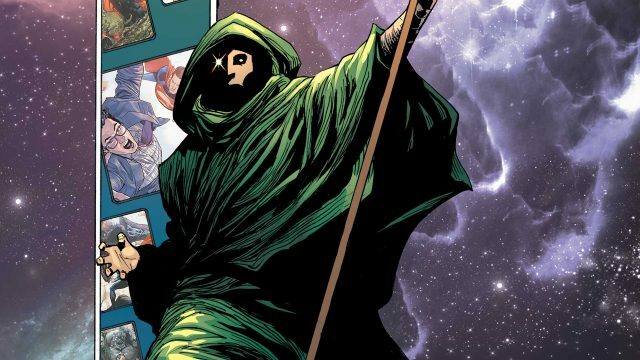 If you thought Action Comics #975 entered the Twilight Zone, you haven’t seen anything yet. Superman #19 is a psychedelic trip that’s sure to inspire Keith Richards to roll up this book and smoke it. Regardless of what you think of Peter J. Tomasi and Patrick Gleason’s stories, one thing’s for sure: they’re never boring. 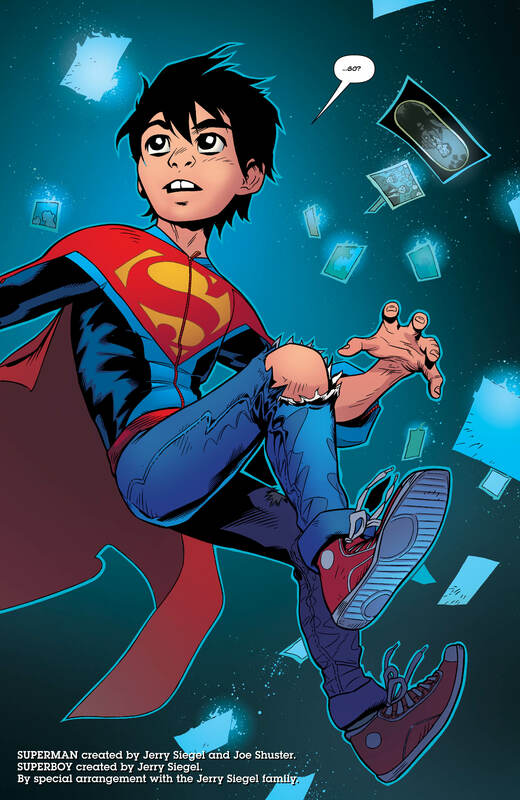 “Superman Reborn” part three ups the ante and sets up an exciting finale for next week’s Action Comics #976. 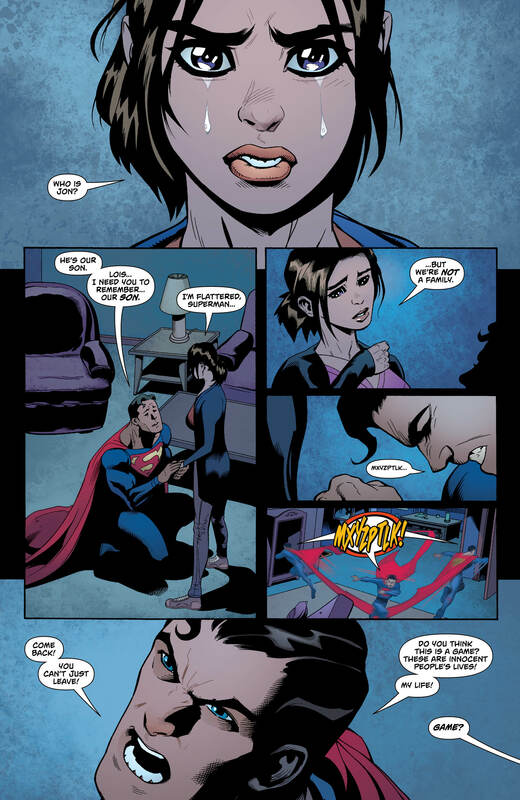 After the revelation that Mr. Mxyzptlk was the other Clark Kent and took Jon, Lois struggles to remember her son and her relationship with Clark. 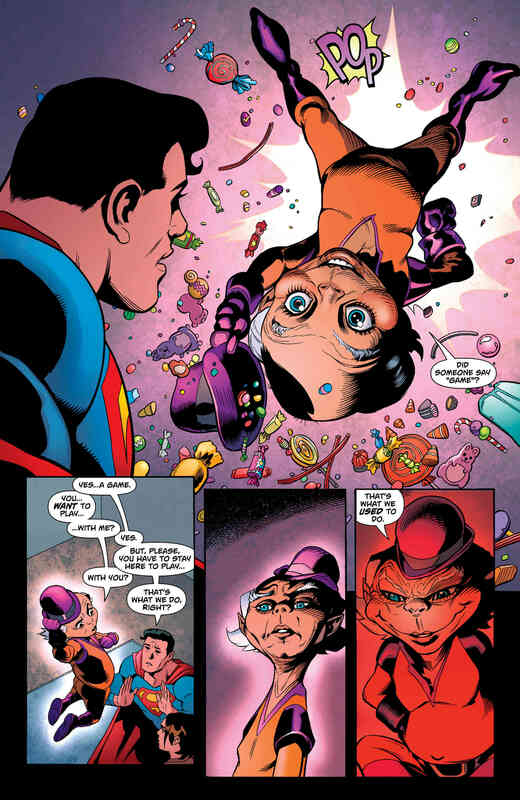 In anger, Supes calls out Mxyzptlk, who reveals Superman was split into two and challenges him to a game. The rules are simple: if Clark wins, the imp will go far away; if not, Jon will be lost forever. Superman plays the cosmic board game, where he relives vital moments in his life, and he comes out on top. Naturally, Mxyzptlk doesn’t accept the outcome and calls him a cheater, trying to go back on their agreement. Meanwhile, Jon floats in the fifth dimension with only photos and two red energies keeping him company. He speaks to the energies, which remind him of his parents, and asks them for their help – which they provide. Jon bursts through the dimension towards his mother and father, to save them from demise. The Kent family is finally reunited. However, Superman now boasts his New 52 costume. This begs the question, are the split Supermen finally whole again? I’m sure the finale will address this. For a trippy story, Tomasi and Gleason manage to rein it in and keep it comprehensible. 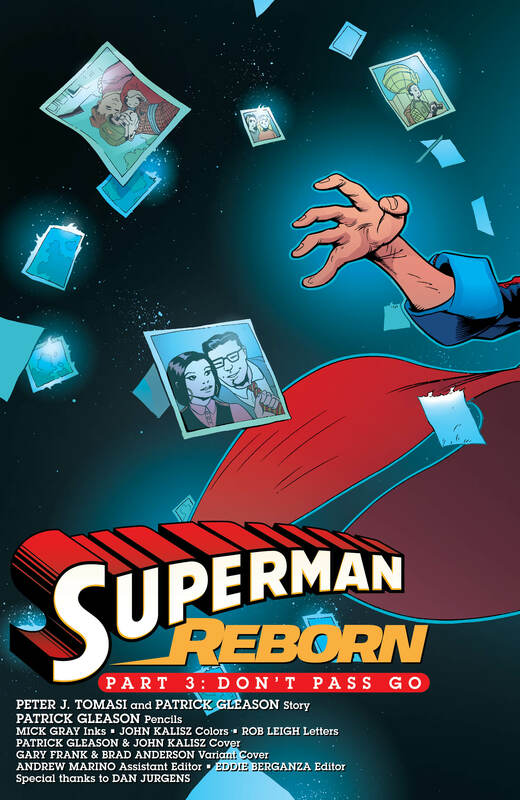 While “Superman Reborn” could’ve easily deviated into the bonkers territory, the scattered backstory and flashbacks prove to be vital reference points. This is partially due to Gleason’s chosen iconography and illustrations that guide us through the chaos. If ever there’s been a perfect example of “show, don’t tell,” this book should be given to every aspiring writer and artist to study. Much like the rest of the arc, the issue also revels in its emotional intensity. Superman isn’t fighting to save the world; he’s trying to save his family. Seeing him flustered and scared brings a vulnerability to his character and raises the stakes. 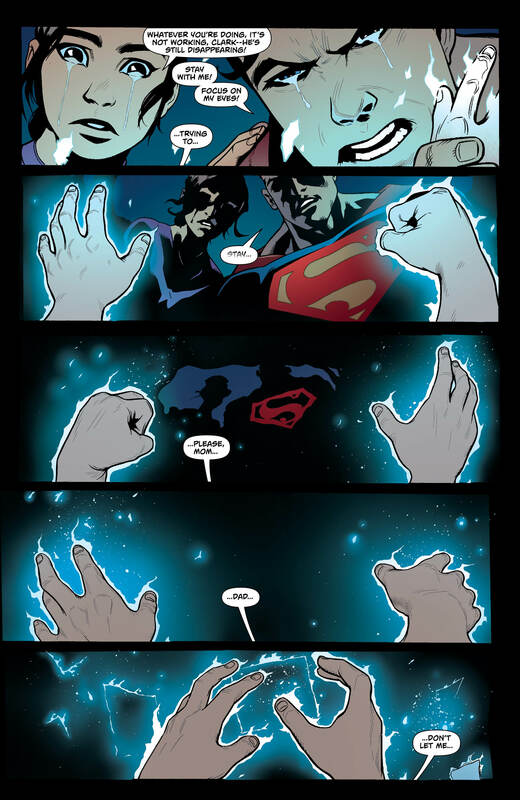 Additionally, vengeance isn’t in his nature, but after all that Mxyzptlk has done to him, what will the Man of Steel do to the imp? Could the little troublemaker actually be useful in uncovering the secrets of Mr. Oz? Mark my words: this won’t be the last time that we see him. 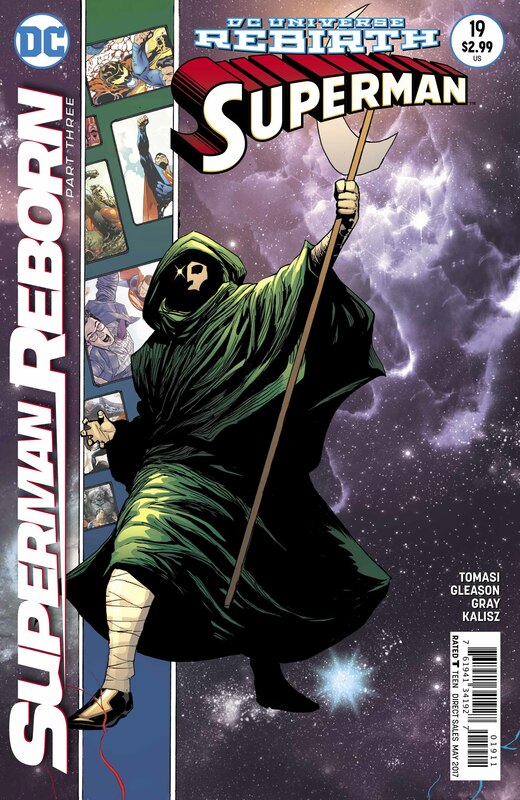 “Superman Reborn” has certainly surprised, turning out a lot different than I envisioned it would be. 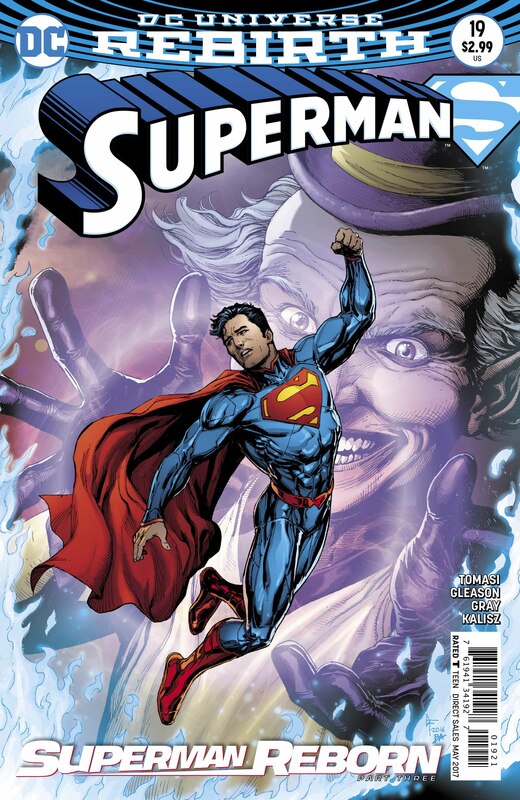 It’s unraveled much more of the Rebirth story than most of us probably expected and also reintroduced an old favorite in Mr. Mxyzptlk. As the penultimate issue of this arc, Superman #19 is the juicy main course, with just enough room left for the upcoming dessert. Hopefully, we’ll be treated to crème brûlée and not the runny chocolate mousse.